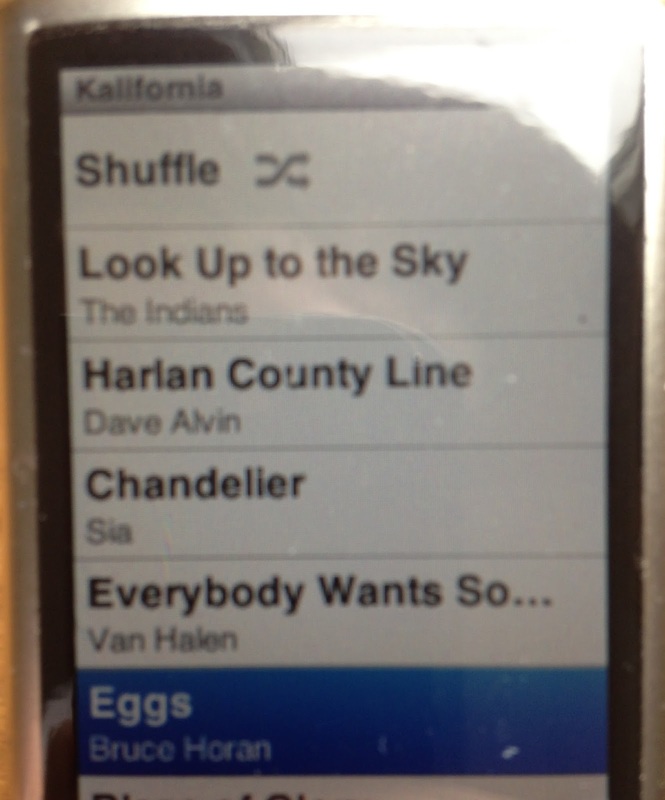 I woke up early and was feeling much better - like I had gotten over my Illinios/Indiana/Iowa hump. Even though the hotel room coffee was inferior as hotel room coffee always is, I was in a playful mood, so I sent that tweet. Cycling with Candidates worked so I figured this was worth a shot. 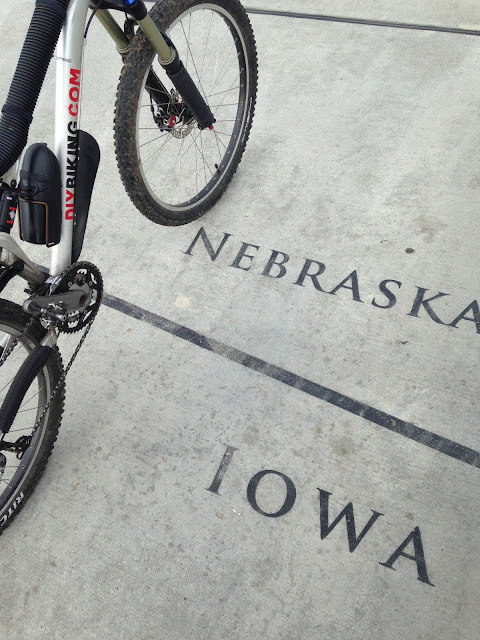 The wheels of the mountain bike hit the ground in Omaha and I immediately took off around the city. Something about the place just felt…right. This is a bike share station belonging to B-Cycle - which is expanding quite a bit in 2016 thanks to a federal grant. It was nice to find this steps from the hotel, but also a lot of bicycle and pedestrian paths on the Omaha side of the Missouri River. What was weird is that after driving through Iowa and biking in Davenport the day before, getting bored of Iowa’s amber waives of grain, adding up the numbers in my Honda Element’s dashboard for the lack of anything else to do - what do I do in Nebraska? I biked to Iowa. In my defense I did it via the beautiful Bob Kerrey bridge. I don’t know who came up with the design, who fought for funding, the names of the people who worked on this thing…but if any of them are reading this: you made a beautiful bridge that anyone passing by just feels compelled to cross. 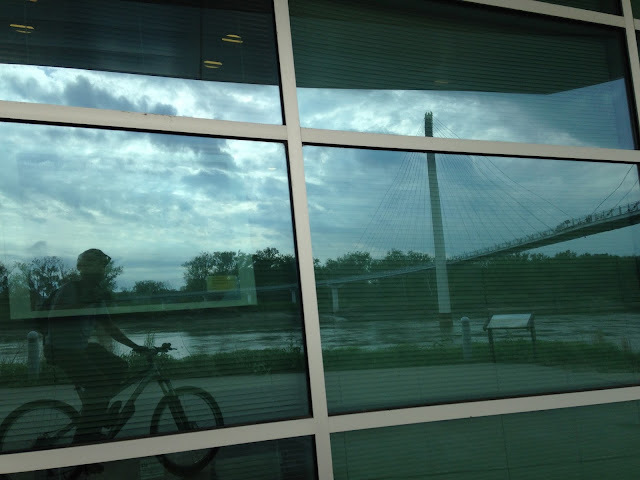 I rode out a few miles with the Missouri River on my left before turning back, and while I was pedaling, with the highway on my left, a thought struck me. Why would anyone want to build a new car traffic lane along Interstate 95 in Connecticut? Or any highway, for that matter? Why tie up traffic for something that is just going to end up attracting more car traffic and slow down commutes anyway? Why not make a trail close enough to the highway to be considered a travel artery for cyclists but far enough away so bicycle commuters aren’t inhaling Prius fumes and the construction won’t interfere with normal car traffic? I pedaled back across the Bob Kerry bridge and meandered a little while longer before I returned to the hotel to find my wife made a lovely sketch of the buildings outside of our window. After her watercolors had dried, we had to get in the car again and continue driving. 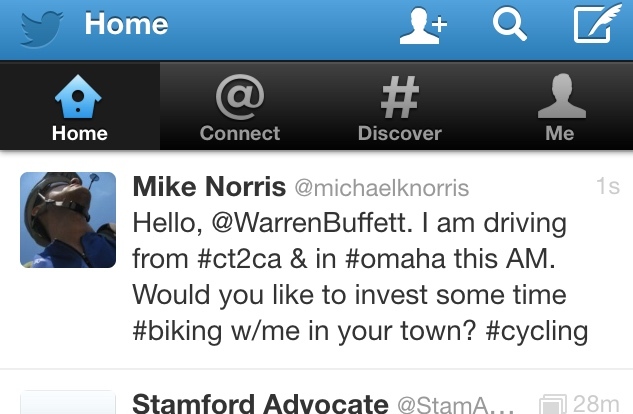 Warren Buffet never answered my tweet. He missed out on a good bike ride. Many hours of driving through Nebraska later (some of which was spent listening to a new playlist featuring the song Eggs by artist Bruce Horan), Wyoming greeted us with an 80 mile per hour speed limit. And little else. Along the I-80, at least, the message Wyoming was sending was: there’s not much to see here so you may as well get through it as quickly as possible. However, we were spending the night in Cheyenne - and I didn’t have a good feeling about the next day’s weather forecast. Click here for Morning 5.